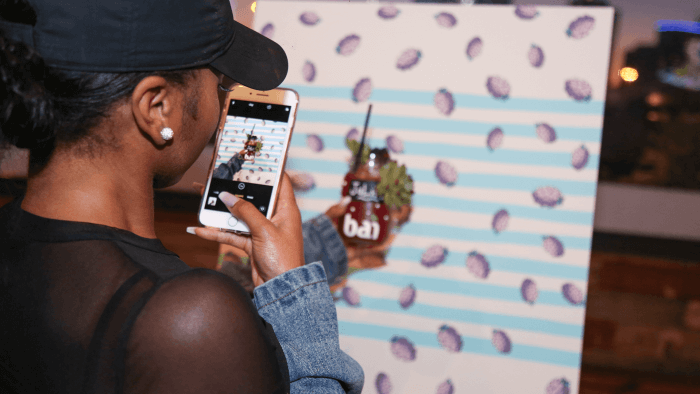 To conclude Bai’s Texas-targeted influencer campaign, we produced a designed-for-social event for Bai influencers in Dallas, creating an opportunity for them to capture additional branded content in a natural setting, adding value to the overall campaign. The resulting event was an Instagrammable evening of cocktails, music, and rooftop views…all inspired by Bai. Leveraging #cocktail trends on social media, we created five Bai bars (to highlight five priority Bai flavors), each of which produced a different made-for-Instagram cocktail. In addition to the cocktail bars, we set up several other activations at the event, all informed by how people had been sharing about cocktails on social media. Since personalization drives sharing, we created a design-your-own mason jar station, where guests could write their name on the glass and decorate it with materials such as succulents, rhinestones, and stickers. 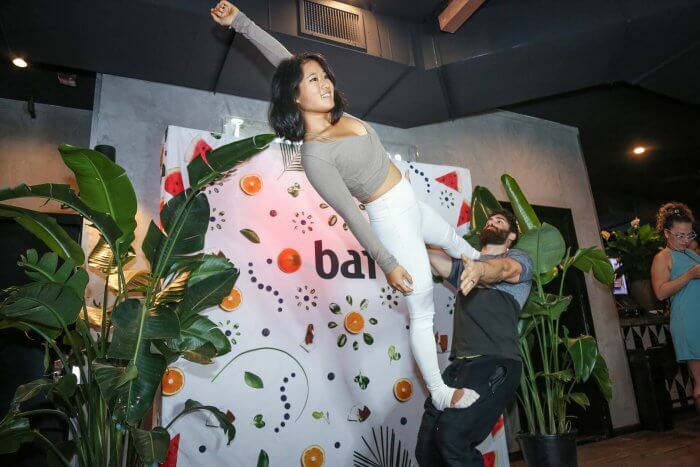 After receiving a cocktail, the influencers could take a photo of their drink against one of the five unique Instagram backdrops that were set up next to the bars. 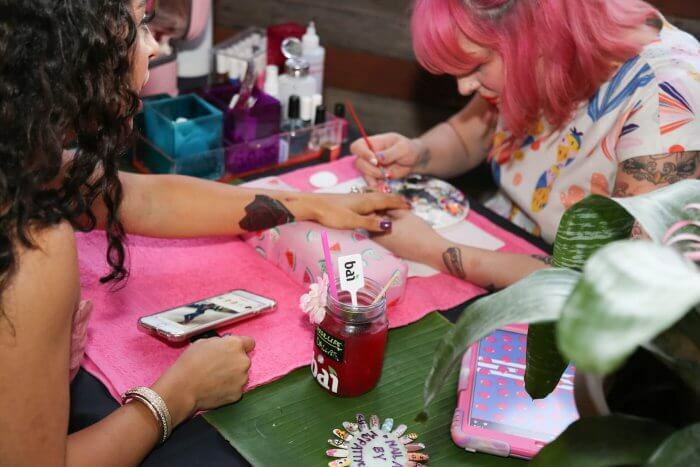 To top it off, we had a nail artist on hand to polish influencers’ nails for the perfect cocktail-in-hand shot. As a result, 100% of the campaign influencers in attendance posted about the event to their channels, with over 85% of all shared content including Bai branding.